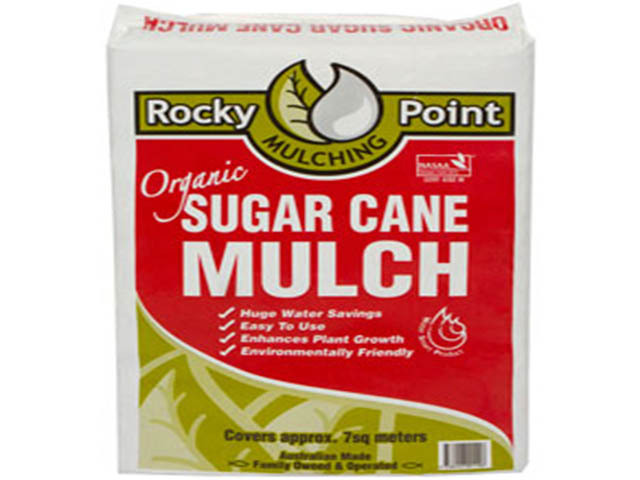 Sugar Cane mulch is the ideal way to retain moisture in your soil and the popular choice for the home vegetable garden. $11.95 per bag. (1 bag will cover approximately 7 square metres). – Sugar Cane is compressed into plastic wrapped bales for ease of transport.